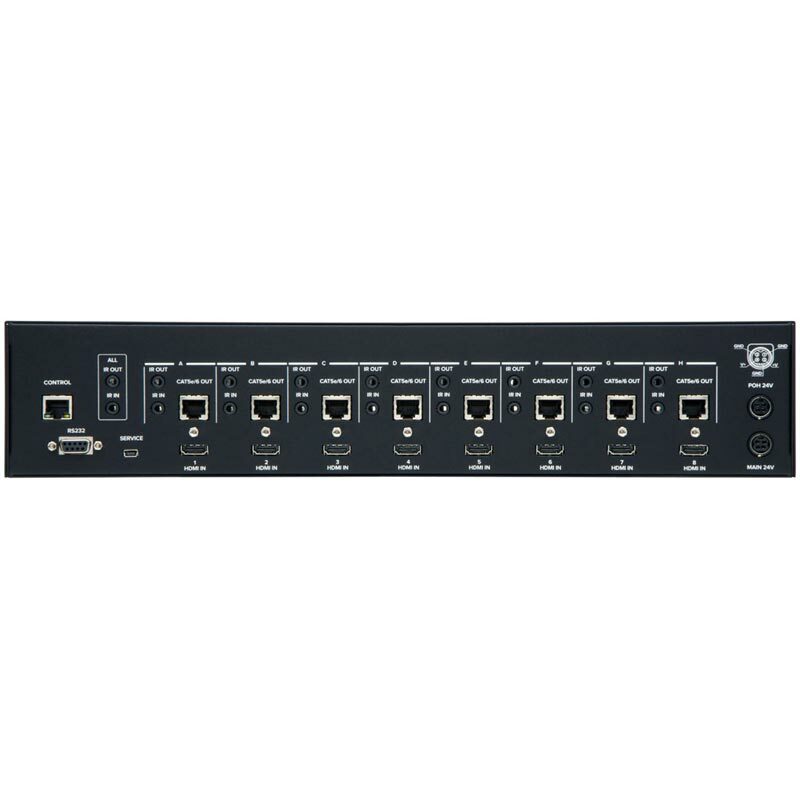 The MX-8488 is designed to distribute up to 8 HDMI sources (with 3D support) to up to 8 different destinations via HDBaseT over Cat.6. The MX- 8488 supports HDMI (with HDCP) video with Deep colour, EDID and 7.1 channel audio. The video quality is excellent and the switcher uses single link (225MHz/6.75Gbps) video processing circuitry. 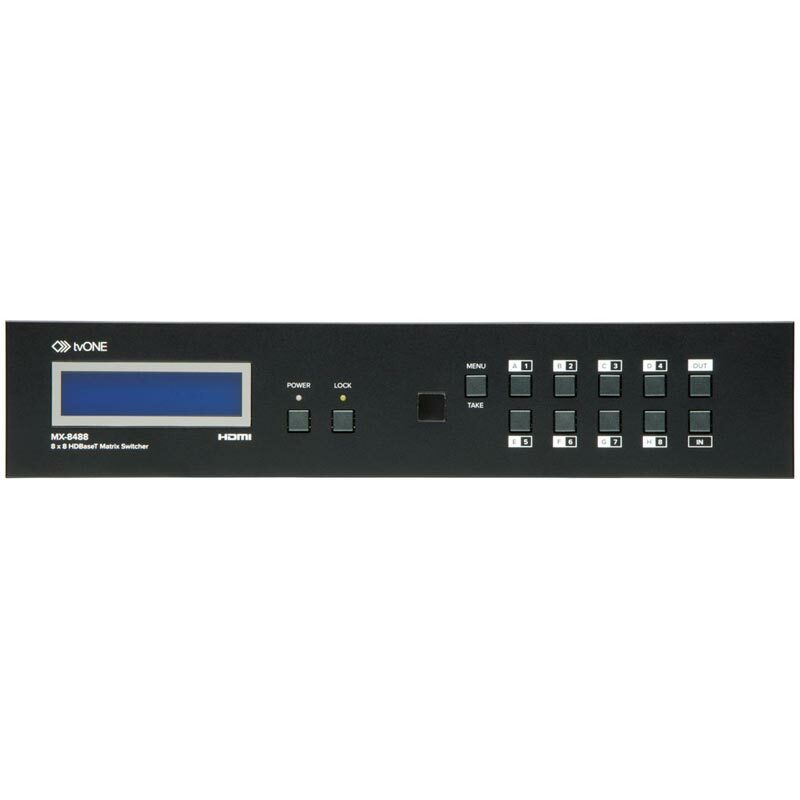 The MX-8488 HDMI Matrix Switcher offers a convenient and cost effective method for the switching of high quality HDMI video. 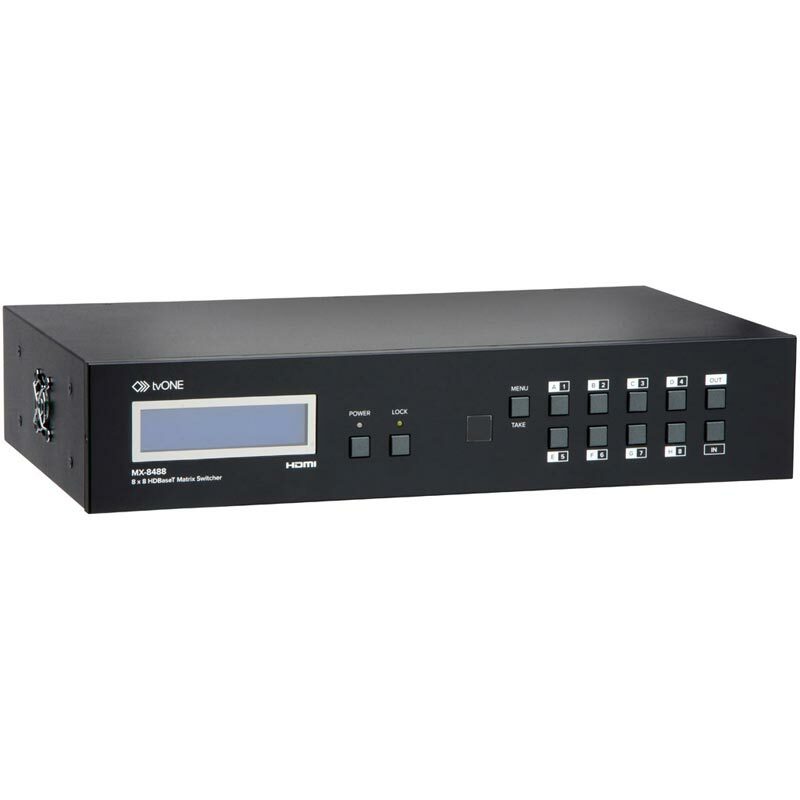 The MX-8488 is ready to provide an HDMI matrix switching solution ideal for boardroom, showroom, or exhibition use. Regardless of whether you use the IR remote, RS-232, Ethernet, or the front panel push button operation, control of the MX-8488 couldn't be easier.